Original fit with short sleeves. Poly cotton twill fabric with stain release. 2 chest pockets with flaps. Button closure on placket, pocket flaps and cuffs. 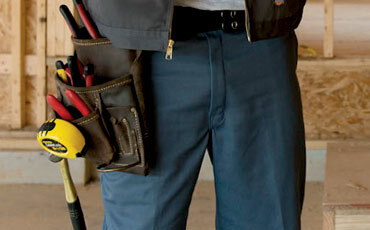 Colours co-ordinated with Dickies™ Original 874 Work pant.